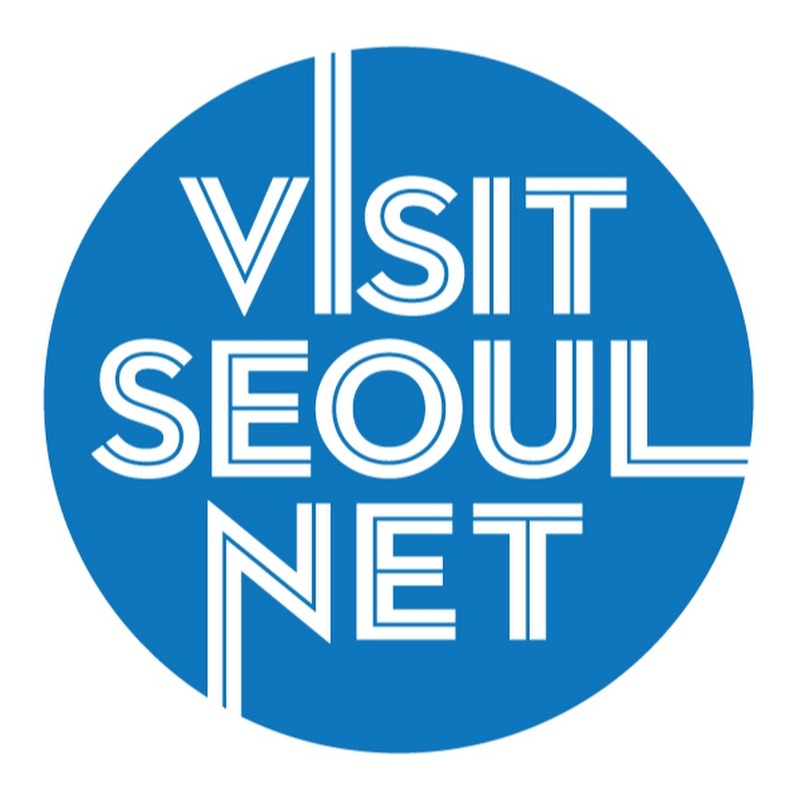 Seoul is, without a doubt, one of the most convenient places to live in the world. It's a 24 hour city, with businesses remaining open until the wee hours of the morning. It boasts an incredibly efficient and affordable transportation system. And you can get just about anything delivered to your house. Including groceries. Which is particularly handy when you live in the hilltops of Haebangchon like myself. 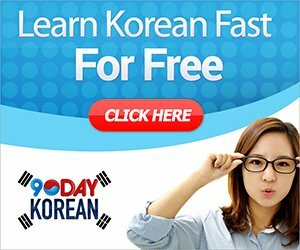 Below is a list of helpful websites to use when you don't feel like hauling around heavy bags of veggies or fighting ajumma in chaotic supermarkets. Although I live in Itaewon and have easy access to a number of international markets, I prefer shopping on iHerb.com for the price, selection of food and quick delivery. 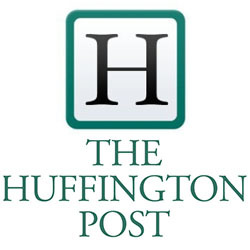 iHerb.com is based in America and prides itself on having the best overall value for natural products in the world. You can find just about anything on iHerb, from user-reviewed breakfast foods and baking items to vitamins and toiletries. One of my favorite brands to order is Bob's Red Mill; I'm particularly fond of their gluten-free bread mixes, steel-cut oats, and soups. I'm obsessed with their hearty Vegi Soup Mix for $5.37 USD which sells at Itaewon High Street Market for the equivalent of $10.69. And I won't even get started on the mark-up of vitamins in Korea. Surprisingly, the shipping is crazy cheap - a flat rate of $4.00 USD for up to 15 pounds. Shipping takes about a week and despite the more complicated customs process as of late, all you need to complete your order is your passport or ARC number (either yours or a co-signer's). First-time users can use the code STJ541 to save up to $10.00 USD on one's first purchase. 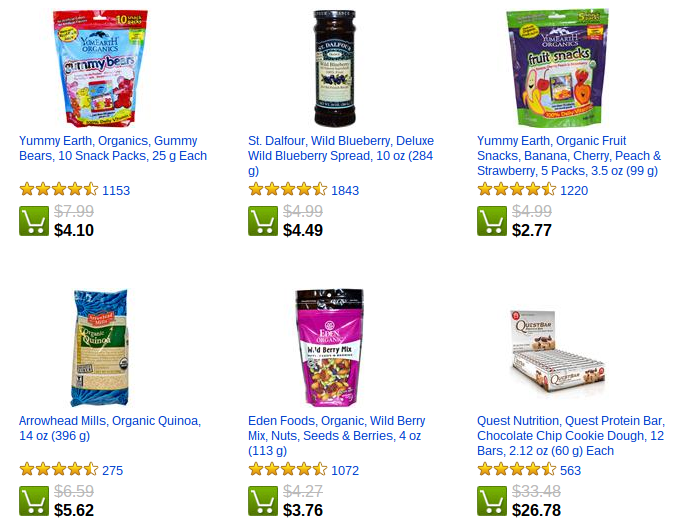 Be warned, however, that once you start using iHerb.com, you WILL become addicted. France Gourmet specializes in the handmade production of traditional French delicatessen and butchery. Salami, fresh sausages, ham, rillettes and beef tenderloin roast are produced by French butchers in a workshop near Seoul. 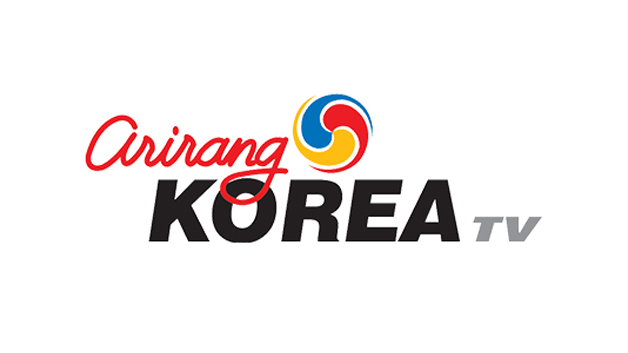 Particular care is given to raw products—only fresh Korean meat and natural casing are used for producing the company’s specialties. The company's aim is to make high quality, authentic products, as close as possible to original recipes. France Gourmet delivers throughout Korea and also supplies prestigious hotels, restaurants and well-known wine and craft beer bars. You can find all these meat and cheese delicacies at France Gourmet's online store. As I mentioned earlier, a lot of High Street's prices are a rip-off, but for those items that can't be purchased on iHerb- i.e. perishables- their website comes in handy. High Street has a great selection of meats, including harder to find options such as pastrami and chorizo. Additionally, High Street offers whole cooked turkeys and hams, which is particularly convenient if you're hosting a holiday party. (Just remember to order a couple weeks in advance.) They also have a good, albeit expensive, variety of cheese, which is nice for those living outside the city with a lack of access to the unprocessed stuff. The delivery fee for orders under ₩120,000 is ₩3,000- not a bad price, considering they ship all over Korea, including Jeju Island. Check out High Street's online store here. 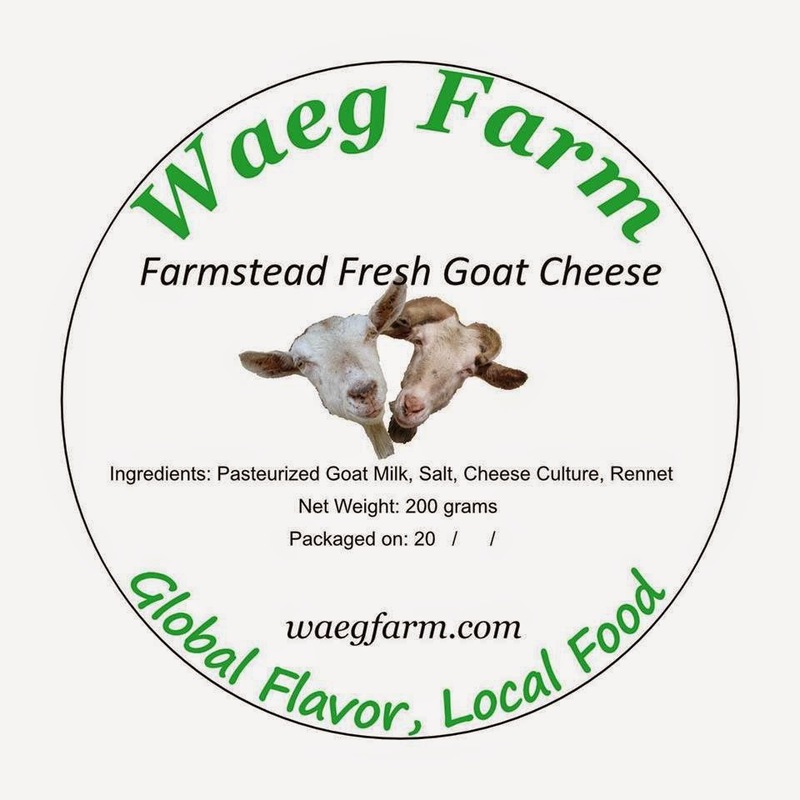 Located in Gyeongju, Waeg Farm is home to seven goats and former university teacher Doug Huffer, who has made goat cheese available for purchase on the internet in an otherwise goat cheese-less country. Each 200 gram container of goat cheese costs ₩10,000 and shipping is ₩4,000, or free if you order 4 or more containers. Additionally, Waeg Farm sells their own farm-grown veggies, so inquire as to which are available. Visit the Waeg Farm website or Facebook page for more information and photos of their oh-so-adorable goats. 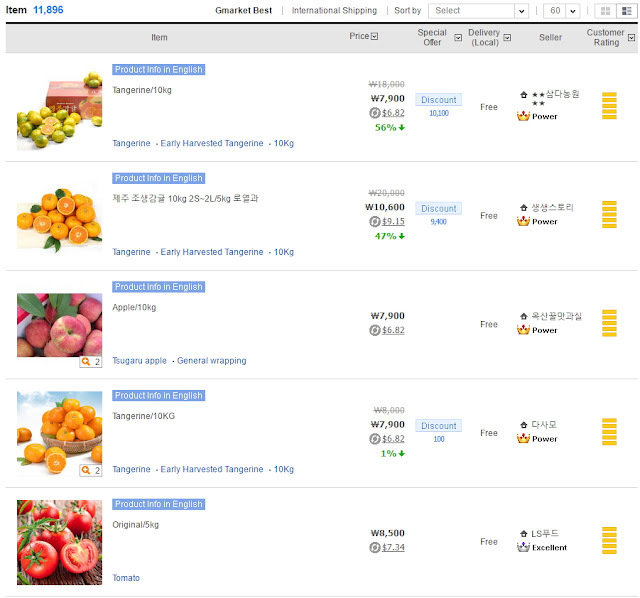 Another godsend is the global Gmarket website. This is one I use almost on a weekly basis for literally just about everything. It’s my go-to when ordering household items like toilet paper and laundry detergent in bulk, as I can get them for a fraction of the cost of what I would pay at my neighborhood markets and the delivery is usually free and super fast. They also have a huge selection of food items, from produce to Korean beef to rice, while some items are more affordable than others. Once you register an ID, the website is almost entirely in English and incredibly easy to navigate. Vegans with a sweet tooth will be happy to learn about Alien's Day Out Bake Shop. Opened by Mipa, food blogger and owner of PLANT Cafe in Itaewon, the online store offers tasty cookies, muffins and cakes at prices comparable to other bakeries around the city, but are made using organic, unrefined cane sugar and organic soy milk. 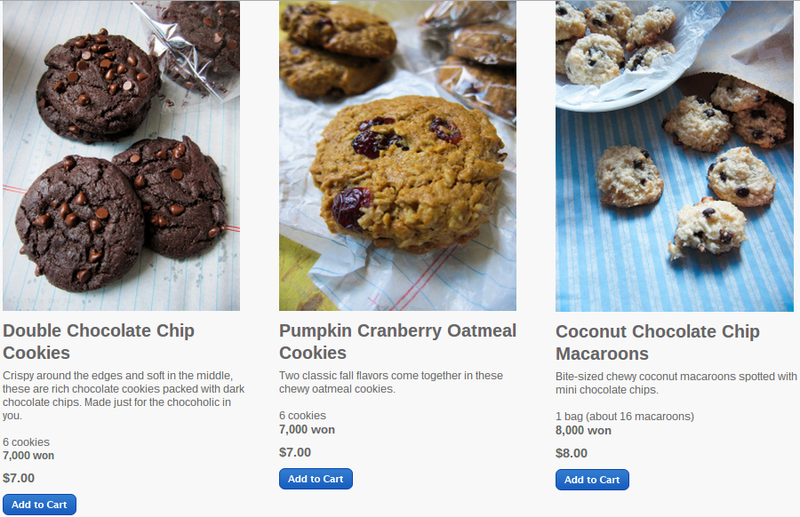 Some of Mipa's especially yummy goodies include pumpkin cranberry oatmeal cookies (₩7,000 for 6 cookies) and banana chocolate nut muffins (₩9,000 for 4 muffins). She also has a nice variety of cakes on sale that start at ₩30,000 and should be ordered a week in advance. Alien's Day Out Bake Shop ships all around Korea for ₩4,000/order and delivery takes a few days. Visit the website to place your order or visit PLANT's Facebook page for more of Mipa's treats. For those looking for authentic Indian groceries, spices and sauces, ExpatMart is the place to shop. 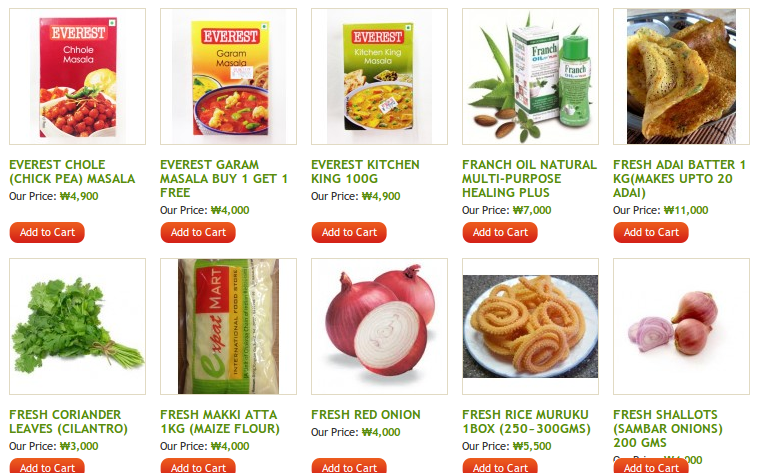 While the website offers a variety of curries, flours and varieties of rice, it also sells fresh items. Hard-to-find produce like cilantro and okra can also be purchased on ExpatMart, which is perfect for those hoping to whip up some Mexican or Southeast Asian cuisine. 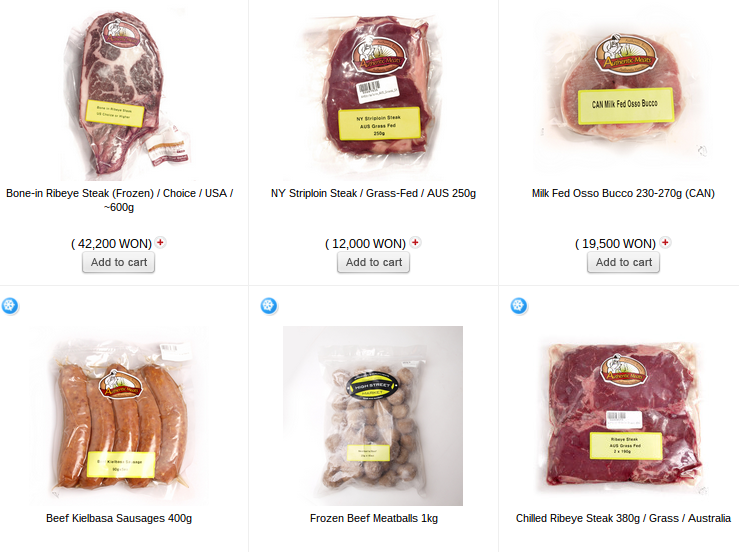 Additionally, halal meats are available, making this website a go-to for Muslim residents in Korea. For orders over 70,000 won under 22kgs, shipping is free. A ₩4,000 shipping fee is charged for orders under ₩70,000. Browse the Expat Mart website here. Korean farms use 15 times more pesticides than those in the United States. Scary, I know. Fortunately, for the health-conscious, there's a farm-to-table initiative quickly gaining popularity in Seoul. 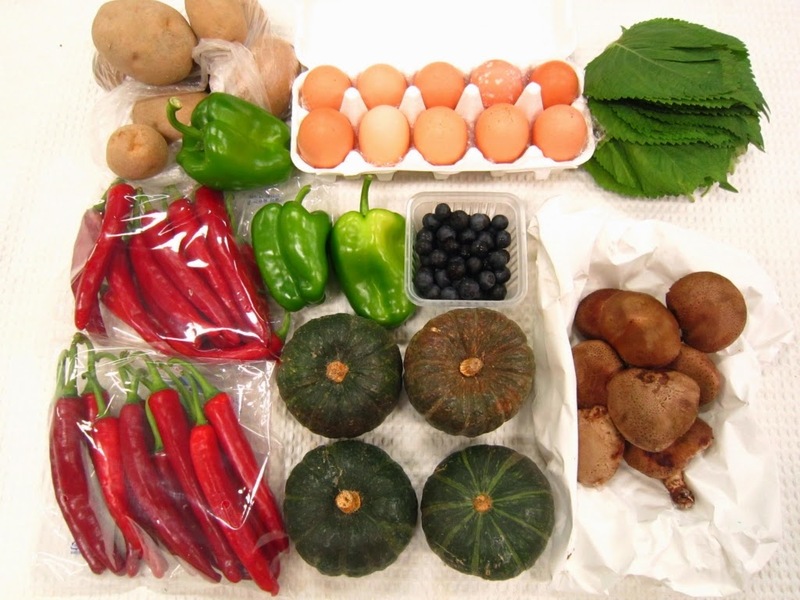 Gachi CSA is a food delivery system that provides residents in Korea with trustworthy, local, organic produce directly from local farms straight to your doorstep. Gachi offers a base basket of local, seasonal fruit and vegetables in two portions: one for couples, the other for families. The Couples' Basket contains 8-10 different items and is priced at ₩27,000 per week, whereas the Family Basket contains 10-12 different items and is priced at ₩35,000. These two baskets both have a time-frame option of month share, half share and full share (1 month, 3 months and 6 months respectively). For an additional fee, add-on options such as snacks, juice, bread and meat can be added. Gachi posts recipes using ingredients of their weekly boxes on their Facebook page and those interested can register for the service at their website. NOTE: As of January 2017, Gachi CSA is no longer in operation. Oh I just bought some "bob's red mill" product from Highstreet hahaa Thanks for the great info on cheaper deal from iherb! And Coupang? Its Korean only, I know. But easy enough to figure out. Looks like Whole Mart is not taking orders any more. 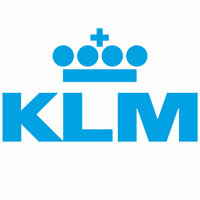 They support in English, and the service is pretty good. Groceries are havens that answer our basic desires for sustenance.a visit to the grocery is also nerve-wracking every now and then particularly if you're on a budget,however simply imagine however life within the per-grocery era needed shopping for food from farmers and butchers. person is right there.Grocery convenience delivery service gives an opportunity for shopping online without leaving home and you can save your time for $9.99. Online shopping of vegetables and fruits are very interesting.I always shop vegetables online and It was great experience. Nice post! online grocery shopping gives you lots of benefits. I personally found it beneficial in saving time and money. Shopping has gone completely online these days. You can shop everything from household appliances to office supplies sitting in home. You can even import goods from abroad using Internet. Hi, thanks for sharing. Quick question tho, do any of the online stores accept cash payment? I was actually looking for same kind of information. In fact, really interesting information and you wrote article with some great research work. I just want to thanks for this article and appreciate you hard work.